Imagine that you are sitting in court with your teenage son or daughter. The judge orders your child to six months living in a "training school" to address the concerns of the court. What would you imagine that to be? Something like a military school or a boot camp? A cluster of cabins in the woods where kids do ropes courses and practice trust falls? The truth is that most training schools are thinly veiled youth prisons. Commonly referred to as "secure placements," they are actually cinder-block buildings behind barbed-wire where children wear orange jumpsuits, rubber shoes and handcuffs. They live in cellblocks and behind bars, get limited contact with their families and are at high risk of sexual and physical abuse. There is an intentional glazing over of the horrors within these facilities, under-reporting of crimes against young people behind bars and a number of creative euphemisms aimed at shielding us from the truth. Euphemisms are common in child prisons, and these euphemisms serve a very clear purpose. 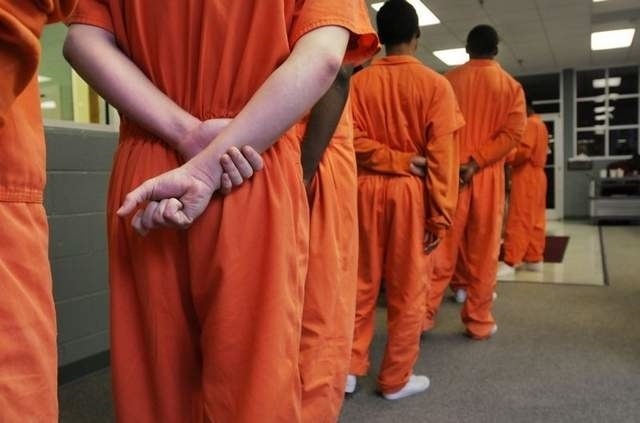 They keep us from knowing that there are nearly 70,000 young people in prison on any given day in the United States. These youths are separated from their families, disconnected from their communities and in great risk of harm. We like to think we are progressive and pragmatic, and that we treat people humanely in this country. So, lawmakers, court personnel and administrators of child prisons think of nicer ways to describe things, keeping us, the public, in the dark. I began to think it was important to talk about the euphemisms, to raise my own awareness and the awareness of others. I dug through the pages of a few books on the subject and began asking questions in the systems with which I have regular contact. What follows is not an exhaustive list, but a spattering of seemingly innocuous language that covers the truth: training schools, youth commissions, camps, facilities, institutions, academies. And then comes the matter of solitary confinement and the euphamisms used to cover it up. Author Nell Bernstein says that "solitary confinement exists in the American imagination as a punishment reserved for the profoundly dangerous." This, however, is far from reality. She goes on to say that "there are as many euphemisms for solitary confinement as there are justifications for using it on the young." Words like ad seg, room time, room restriction, special management programming. Perhaps the most ironic is protective custody—as it is one of the least protective things we can do to the psyche of a child. As the Youth Law Center points out, "No matter the nomenclature, it all comes down to the same thing: a young person locked, alone, in a tiny room." A practice aimed at destroying the mind and breaking the spirit. Civil-rights activist, playwright, poet and social critic James Baldwin once said, "Not everything that is faced can be changed, but nothing can be changed until it is faced." If we stop hiding behind these meaningless euphemisms, we will no longer be able to hide the truth of what we do when we send young people away. Only then, may we actually start changing the system.